Duel organized by Autocar, a short track and the cars were competing in the “fast round”. On paper it seems that the F-Type Coupe gets smoother. 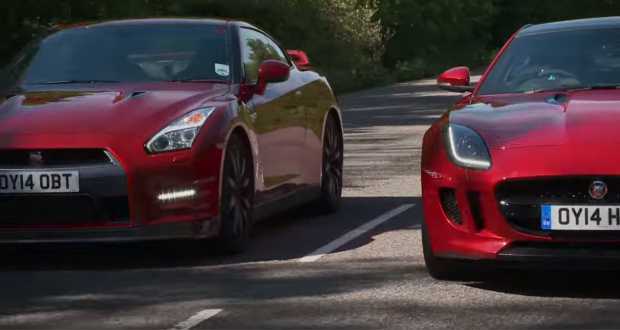 Both cars have the identical power, with what Jaguar has more torque, lighter, and has a eight-speed gearbox as opposed to the six-speed in the GT-R. It seems that the recipe for winning more than clear. However, Nissan boasts better sprint to “hundreds” and all-wheel drive.